Fancy a day trip to France? Ferries leave from the base of the white cliffs regularly throughout the year. Meanwhile the extraordinary Dover Castle hosts 2000 years of history – from a roman lighthouse to a medieval keep, Churchill’s war room and of course the ‘Hellfire Corner’ of WWII, perfect for educational days out with the kids. Just try not to lose them in the Napoleonic tunnels. 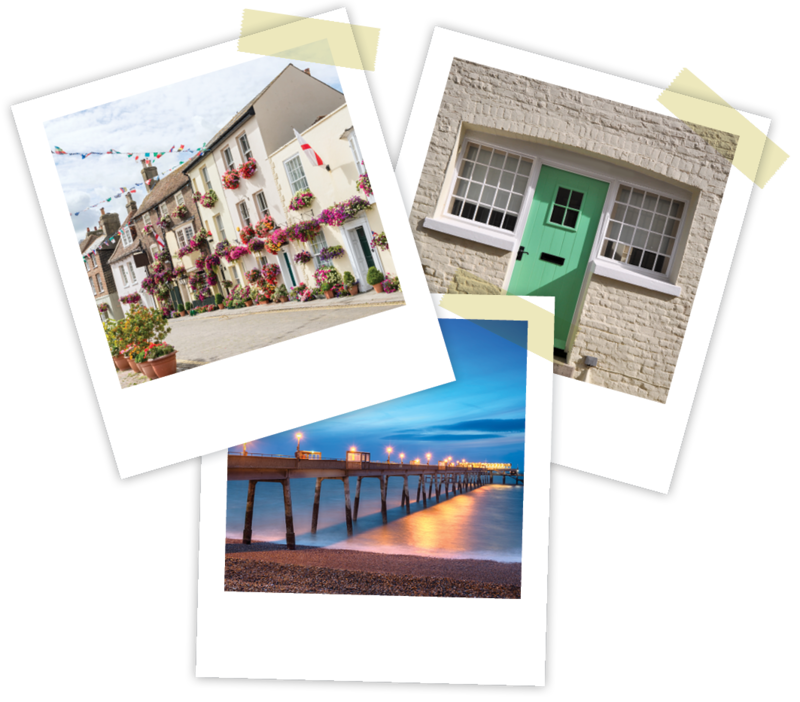 Just along the coast from Dover is the market town of Deal, with mile after mile of picturesque beaches, perfect for summer evening walks, incredible seafood and long days by the sea.